Red River College is in a period of growth, with current demand for innovative programming pushing the limits of its physical infrastructure. To compliment and enhance existing programs, improve its overall competitiveness, and better meet the needs of small to medium enterprises in Winnipeg’s downtown, the college secured funding for a new Innovation Centre at its Exchange District Campus. 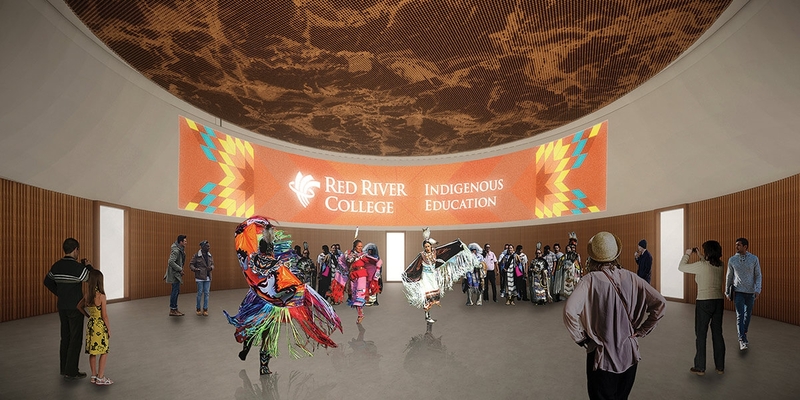 Number TEN Architectural Group in joint venture with Diamond Schmitt Architects Inc. has been working with a diverse group of Red River College stakeholders to develop the design for the new facility. 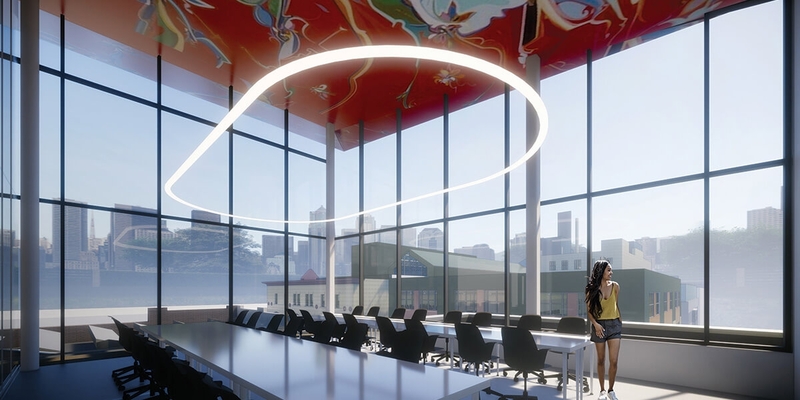 Living up to its name, the new Innovation Centre @ RRC will be one of the most advanced and forward-thinking buildings of its kind in Canada. 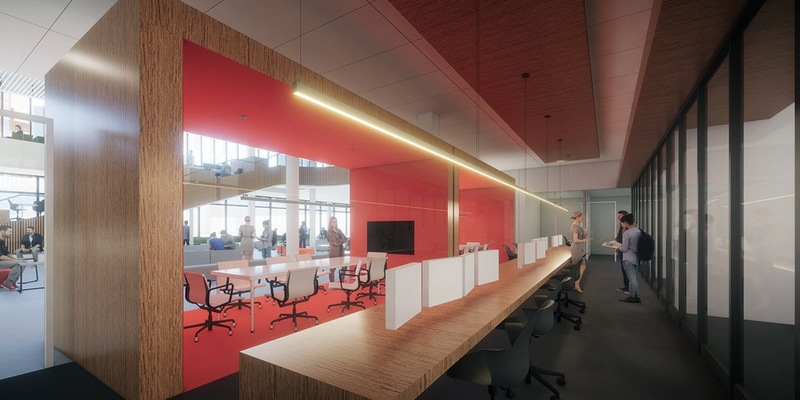 Targeting net zero energy, the Innovation Centre will emit little to no net carbon emissions – an ambitious goal considering Winnipeg’s extreme prairie climate. Inspired by its site context, the 100,000 sq. ft. 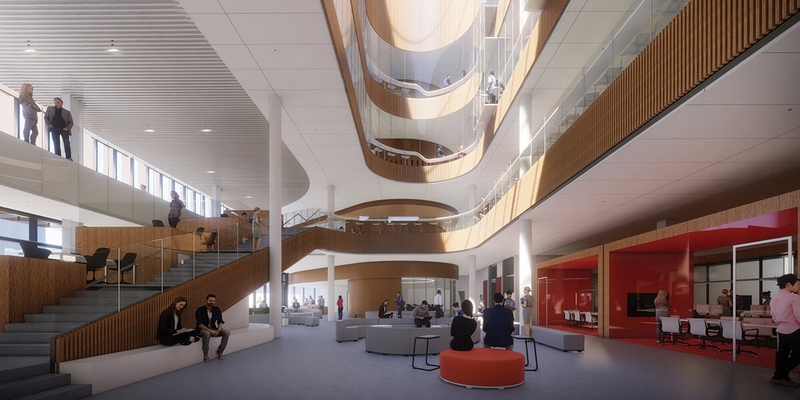 Innovation Centre is designed to look to the future while respecting the past. 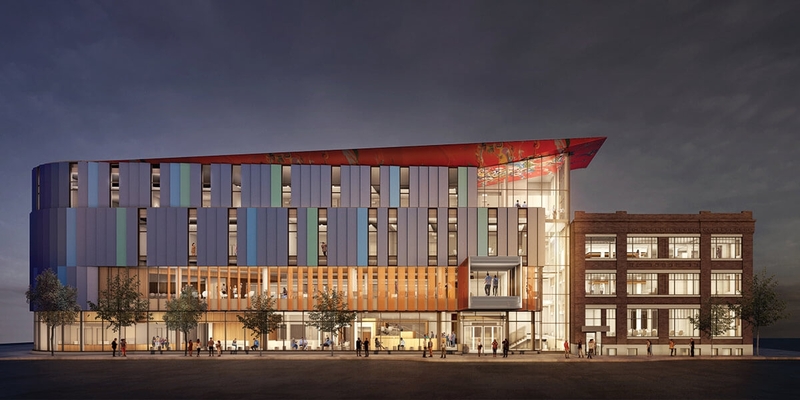 The project includes the adaptive re-use of the historically designated Scott Fruit building adjacent to Red River College’s existing Roblin Centre, a state-of-the-art four-storey addition, and an above-ground pedestrian walkway connecting to the Roblin Centre. 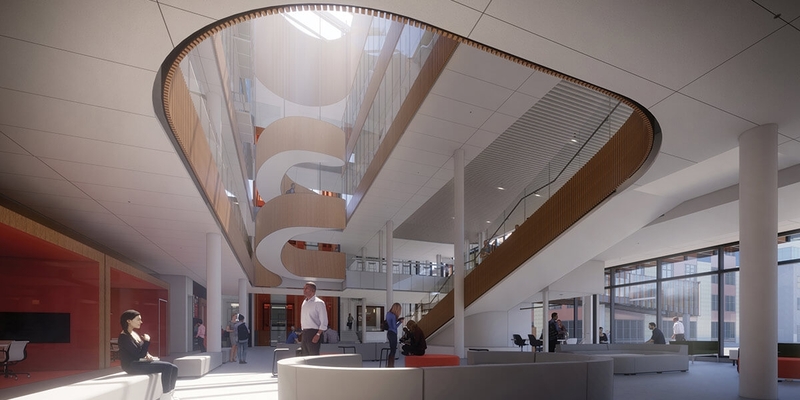 The skin of the new building addition is comprised of photovoltaic glass that generates energy and changes colour according to weather and the angle in which it is viewed. Inside, a wide array of unique light-filled programming, circulation and multi-purpose collaboration space is designed to inspire students, create a sense of wonder and encourage idea sharing between students, staff, and industry partners. Indigenous design elements and artwork will form a deeper connection with the site, its history and the surrounding community. 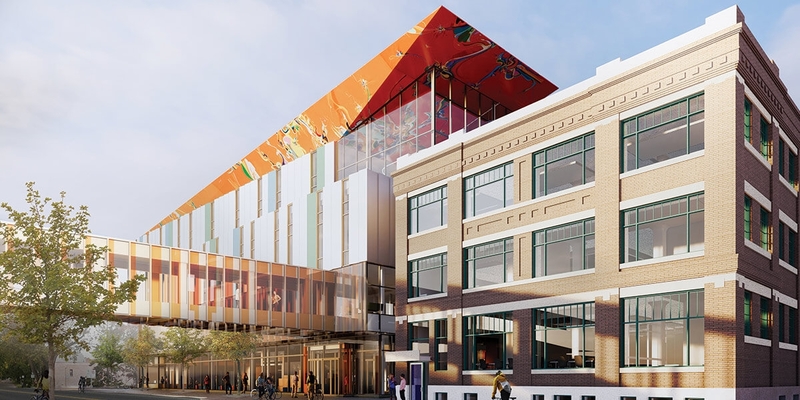 Currently in the construction phase, the Innovation Centre @RRC is on track to welcome up to 1,200 new students in the fall of 2020 and is anticipated to provide an economic boost to downtown Winnipeg and the surrounding Exchange District. Number TEN’s Role: Architect in joint venture with Diamond Schmitt Architects Inc.